Thomas Rowe was born on 20 July 1829 at Penzance, Cornwall, England, the eldest son of Richard Rowe and his wife Ursula, née Mumford. He married Charlotte Jane, daughter of Captain John Piper, at Sydney in 1857. She died in 1873 and he married Sarah Selina Cornish at Manly in July 1877. He died at Darling Point on 14 January 1899, survived by two daughters of his first wife and seven sons and three daughters of his second wife. He was buried in the Anglican section of Waverley Cemetery. Thomas Rowe entered his father’s building business in Penzance as a draftsman. In 1848 he arrived in Sydney with his family and worked for local builders until 1851 when he went to the Sofala goldfields. In 1853, he set up a building business with his brother Richard in Pitt Street. From 1857 to 1895 he practised as an architect in George Street, working with successive partners WB Field, Sydney Green and Alfred Spain. His architectural practice became was one of the largest in NSW, extending to Bathurst, Orange, Newcastle, Goulburn and Sydney. His landmark buildings included the Presbyterian Church in Bathurst, the Jewish Synagogue in Elizabeth Street, Sydney Hospital in Macquarie Street, Newington College in Stanmore, the Royal Arcade and Vickery’s Building in Pitt Street in Sydney. In 1871, he was a founder of the Institute of Architects of New South Wales and served as its President between 1876 and 1889 and 1895 and1897. Rowe lost most of his accumulated wealth in the 1893 depression and left his large family struggling when he died at his grand residence Mona at Darling Point. One of his sons, Septimus Godolphin Rowe was Alderman of Sydney Council from 1934 to 1937. Rowe was a founder of the United Services Institution of New South Wales and a Trustee of the Rushcutters Bay Park. He was a First Lieutenant in the Engineer Corps in 1872 and by 1886, was promoted Lieutenant-Colonel and became a member of the Commission on Defence from Foreign Aggression. For 30 years from 1860, Rowe was superintendent of the Dowling Street Wesleyan Sunday school and was active in the Paddington and Waverley Methodist churches. From 1877 to 1879, Rowe was a prominent member of the new Glebe Presbyterian Church which he had designed. Built initially in the corner of Parramatta and Glebe Point roads, it was later moved to Pyrmont Bridge Road. Rowe later became a warden at St Mark’s Church of England, Darling Point. Thomas Rowe was the first Mayor of Manly in 1877. He was credited with the establishment of the Manly Fire Brigade, the first municipal brigade in Australia. He also initiated the planting of the distinctive Norfolk Island pines at Manly beach. He was Alderman for Bourke Ward, 2 December 1872 to 30 November 1876. In 1888, he became the first President of the newly formed Metropolitan Board of Water Supply and Sewerage. 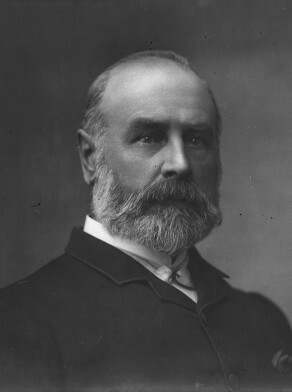 J. M. Freeland, ‘Rowe, Thomas (1829–1899)’, Australian Dictionary of Biography, National Centre of Biography, Australian National University, http://adb.anu.edu.au/biography/rowe-thomas-4517/text7391, accessed 4 December 2012.